The Kingsford® charcoal facility in Belle, Missouri, has planted an island. The island, a floating wetland of organic and manmade materials, helps filter water in the plant’s recycling ponds. 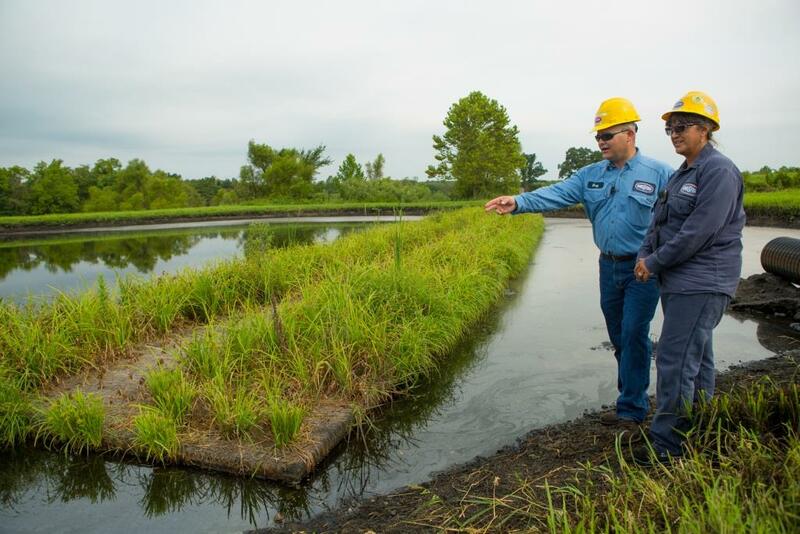 It’s one of the novel ways we at the Belle plant are working to reduce our environmental impact and be a good neighbor to the surrounding community. After all, the Kingsford facility in Belle is located in rural Missouri, adjacent to farms and small towns that depend on good water quality. Alert to our responsibility to Belle and surrounding communities, we decided last year to try out a new approach to filtering water in our treatment pond. BioHaven® Floating Islands mimic natural wetlands to improve water quality without mechanical systems or chemical treatment. Rather, the plastic islands (made from BPA-free recycled plastic bottles) are planted with native vegetation. The roots of these plants extend below the island, naturally filtering nutrients and organic solids from the water. Floating islands help to reduce total nitrogen, total suspended solids, dissolved organic carbon, certain metals and algae in the pond. Each one is roughly five feet by eight feet, and is connected to a web of other islands across the pond. Taken together, they can also create important wetland habitat for frogs, turtles and birds. The islands help to improve the ecosystem both above and below the water line. The floating wetland island have been so effective in removing total suspended solids from the water, the Belle facility plans to install a second set of islands next spring in a separate settling pond. Since they were planted last spring, the first set of islands has reduced total suspended solids by over 50 percent. We expect similar results with the second installation. This natural method of treating water has the potential of becoming a best practice we can apply at other Clorox facilities.